White River Toyota is conveniently located at the meeting of interstates 89 and 91 in Vermont. 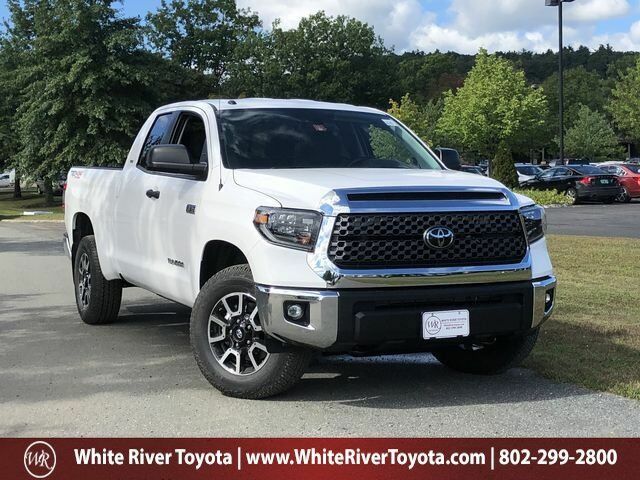 Just minutes from the New Hampshire border, White River Toyota is proud to have the opportunity to offer its customers who register their vehicle in New Hampshire tax-free automotive shopping. You can rest assured that when a White River Toyota employee goes to work for you, you are being serviced by your neighbors--the good people who are invested right here in our tight-knit, hard-working community. You'll find us in the same grocery stores, doctors' offices and community schools. That's why all of us at White River Toyota know and agree: It's All About People. From the way we pursue the most attractive financing on your next vehicle to the way we work to support our community, we're proud of the way we do business. We'll never mark up your finance rate and we only work with one bank, Toyota Financial Services---ensuring you get the best rate and the best financial experience. That might be one of the reasons why time and time again we've been awarded The President's Award from Toyota Motor Corporation as well as Toyota's prestigious Toyota Financial Services Insignia Award for excellence in financial responsibility. You'll also find us supporting our community at every turn. From the Upper Valley Haven, to JDRF/Type 1 Diabetes support, to the Norris Cotton Cancer Center at Dartmouth-Hitchcock and more, we make fundraising and supporting our community a priority. So visit us today and find out why with White River Toyota, It's All About People.